The D2608/913000 is a tweeter from the ScanSpeak Discovery series. It’s essentially the same tweeter as the famous Peerless “HDS” tweeter, but nowadays its built by ScanSpeak . It plays in a division higher tan the other “Discovery” tweeters, almost like the “Revelator” or “Illuminator” tweeter series. It offers a very sturdy build quality with a metal faceplate and a double magnet system. It uses ferrofluid combined with a fully vented motor system for low compression and it has a fairly low resonance frequency. This is a low distortion tweeter an can be used as low as 1500Hz. About 10% higher fs than official spec sheets. 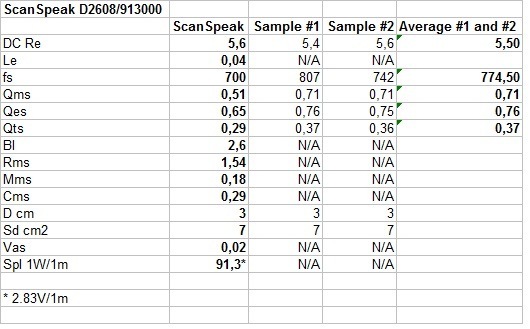 Not a perfect match between the two samples, but within limits. Thanks to ferrofluid in the magnetic gap, a shallow impedance peak around fs. The two sample are a reasonable close match. Not a perfect match between the two samples in the higher octaves. 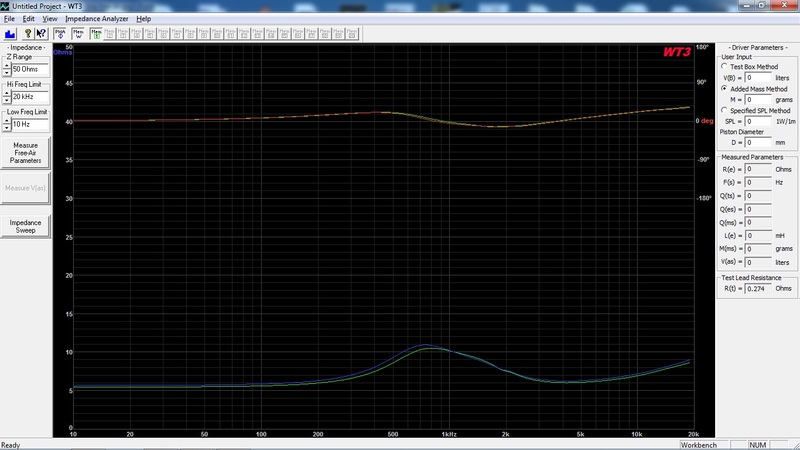 Sample 2 has a broad dip around 15kHz, but instead has a frequency response up to 30kHz! In the cross-over region they measure essentially the same. Baffle diffraction around 3.5kHz which as expected flattens out off-axis. 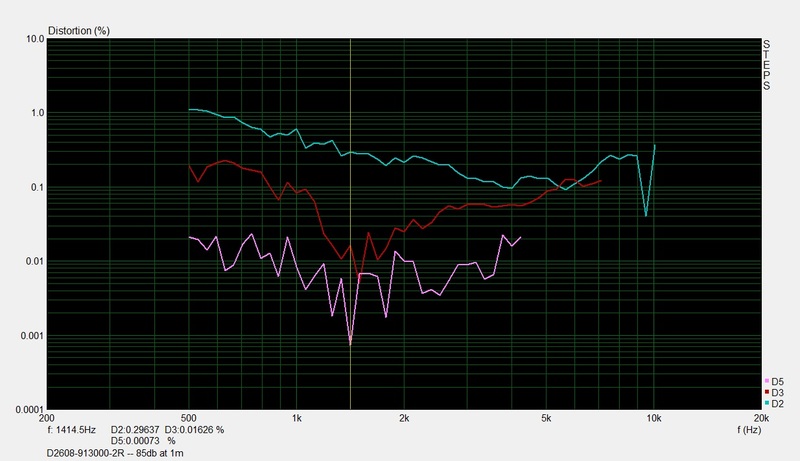 Nice extended frequency response and off-axis dispersion. Even at 45deg off-axis this tweeter reaches 15kHz! The distortion measurements are done in near-field and the amplifier output level was adjusted for the driver unit so that the fundamental is 85dB at 1m and 90dB at 1m. This setting simulates normal to medium-high listening levels. Overall very low distortion throughout the frequency range. This tweeter can be crossed-over as low as 1.5kHz, without distortion becomes an issue.